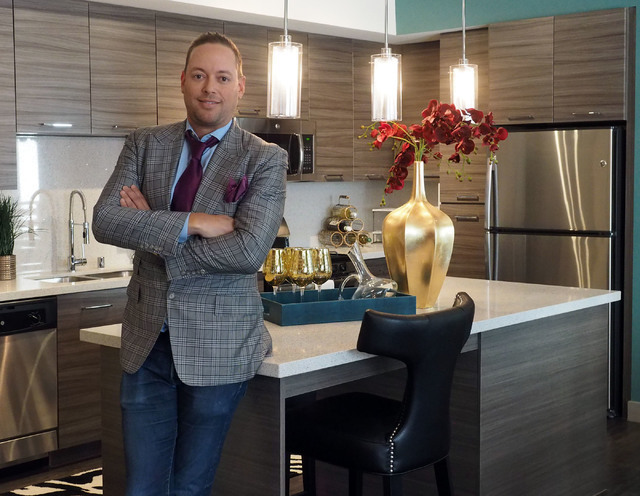 When it comes to apartments in Las Vegas today, it’s all about luxury, high-end units, and The Calida Group is betting on it. 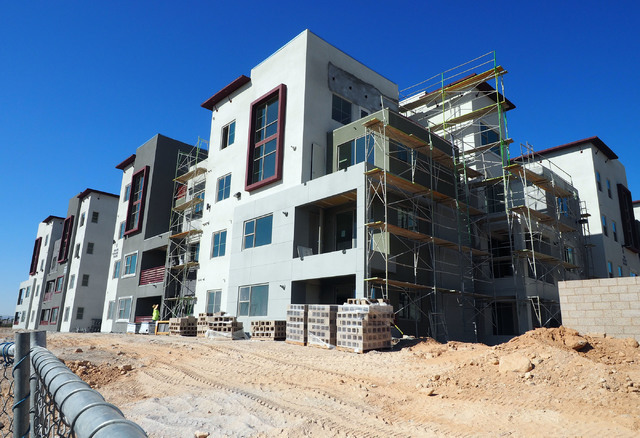 Work continues on the new luxury apartment complex Constellation being constructed by The Calida Group in Downtown Summerlin, Tuesday, Aug. 30, 2016. Jerry Henkel/Las Vegas Review-Journal. The Calida Group Managing Director Eric Cohen poses for a photo in the model at the new luxury apartment complex Constellation in Downtown Summerlin, Tuesday, Aug. 30, 2016. Jerry Henkel/Las Vegas Review-Journal. 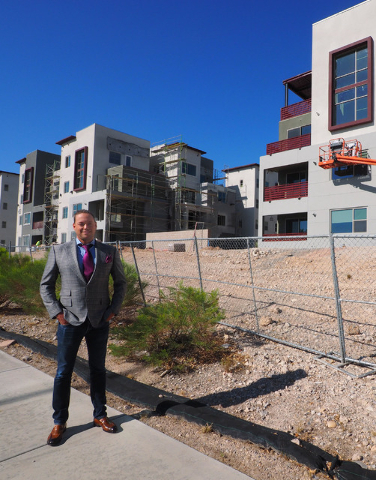 The Calida Group Managing Director Eric Cohen poses for a photo at the new luxury apartment complex Constellation in Downtown Summerlin, Tuesday, Aug. 30, 2016. Jerry Henkel/Las Vegas Review-Journal. Residents have started moving into the first luxury apartments built in Summerlin in a decade. Constellation is a 124-unit, three-story, gated development in Downtown Summerlin, the 1.6-million-square-foot retail, dining, office and entertainment complex next to Red Rock Resort. It’s considered to have the highest rents in Las Vegas for a complex built exclusively for renters. And its developer, The Calida Group, which is doing this one project with The Howard Hughes Corp. in a joint venture, has several other high-end projects under construction or in the planning stages. 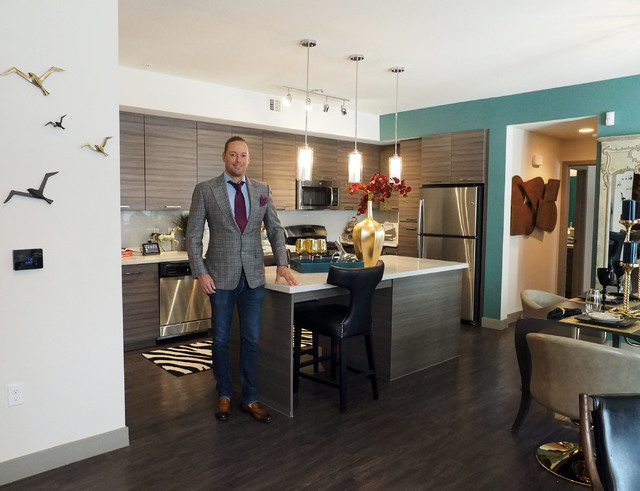 It opened one luxury apartment community this past year in Henderson, and another opened in the spring. Both are getting leased rapidly. Even though tenants started moving in during August, Constellation already is 40 percent leased, despite rents that run as high as $1.85 per square foot. It has one-bedroom and two-bedroom units with square footage of 900 to 1,800 square feet, with rents ranging from $1,500 a month to as high as $3,500 a month. Construction isn’t even complete. Only about 30 units are finished, and the entire complex, including the pool, won’t be done until the end of November. That will create a surge of interest in Constellation that should be leased up in about 10 months, said Eric Cohen, managing director of The Calida Group, a company he co-founded in 2007. Walkability to Red Rock Resort and a focus on concierge services, and even dry-cleaning, make it attractive, Cohen said. Apartment renting is more popular than buying condos that have similar services because people don’t want to pay HOA (homeowners association) fees, he said. Constellation renters are a mix of ages and include people from Summerlin, in addition to those from out of state, Cohen said. Las Vegas is the 14th-highest percentage city in the nation for renters, and many times when people move to a new city, they want to rent in great locations in their first year where they might buy a home. 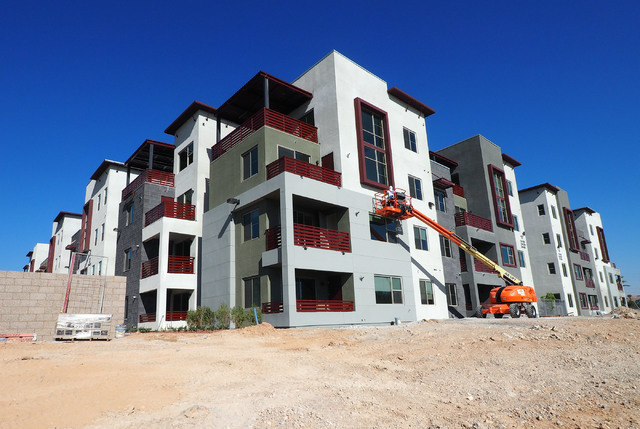 There was little apartment construction during the recession, and units didn’t start opening in Southern Nevada until 2014. Constellation is among 6,000 units that either recently have opened, are under construction or are in the planning phase. 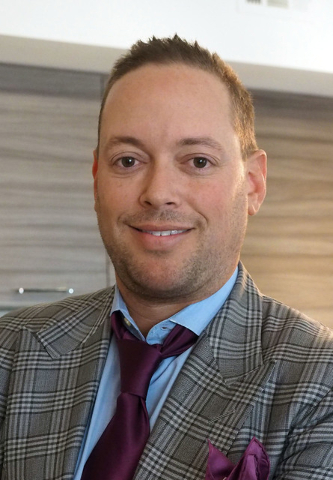 Many of those units are considered Class A high-end units, said Spencer Ballif, senior vice president at CBRE, a commercial real estate brokerage. The vacancy rate in Class A apartments was 4.78 percent in July, and that doesn’t count leasing activity that is active, he said. The Calida Group is one of those leading the way. It’s the developer of the Elysian at The District, 360 units near the Green Valley Ranch Resort in Henderson that opened in March 2015 and is 96 percent leased. It rents for $1,300 to $3,000 a month. Two years ago, The Calida Group opened 255 townhomes at Elysian at Southern Highlands. It is 98 percent leased and has rents that range from $1,200 to $2,500 a month. Elysian West, 466 units at Tropicana Road and the 215 Beltway opened in the spring and rents for $1,100 to $2,200 a month. It is 60 percent leased. Construction is underway at Elysian at Stone Lake, 360 units at Stephanie Street and Wigwam Parkway. It will start leasing in October and be open in December with rents of $1,100 to $2,000. Construction will start in December on Elysian at Flamingo, 360 units at Flamingo Road and Hualapai Way. It will be ready in about 13 months and have rents ranging from $1,000 to $3,000 a month. The Calida Group is in the planning stages for building two apartment complexes just off the Las Vegas Strip and two more in the western valley, Cohen said without providing many details. They will have rents that range from $1,200 to $3,500 a month, he said. The Howard Hughes Corp. plans to develop other high-end rental units, too. It has envisioned more than 4,000 apartments, lofts, condos, townhouses, and brownstones for rent and purchase in Downtown Summerlin in the future.